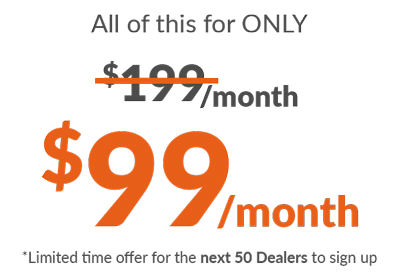 Do You Want to Sell More Golf Cars? 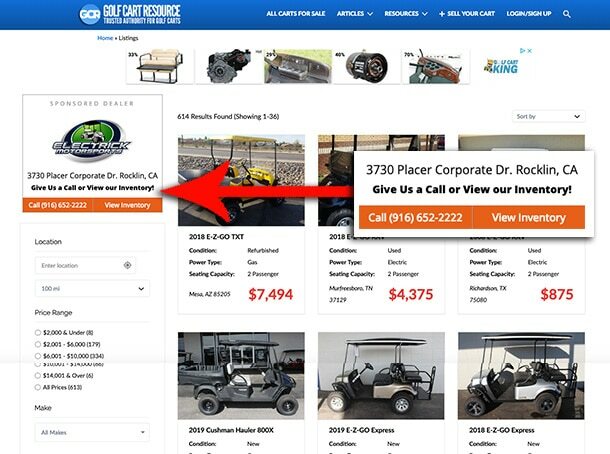 List Your Golf Car Inventory on GolfCartResource.com! Add as many as you like! Already have inventory online? We’ll upload your initial inventory at no additional cost. Are you an authorized OEM? We will create New vehicle listings for you. Want to add more golf cars? Our simple process takes less than 45 seconds to post additional inventory. 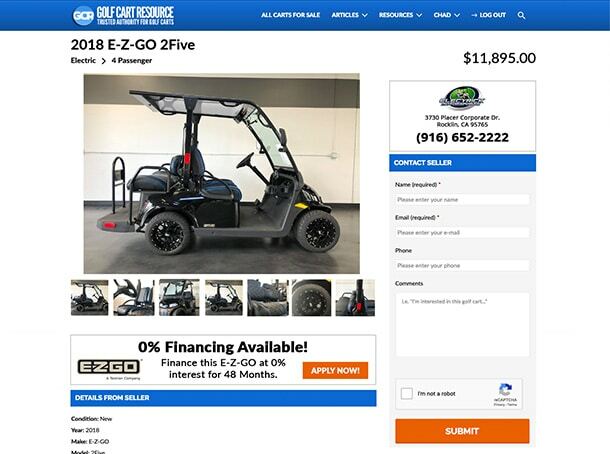 In addition to Unlimited Listings, your listings will promote your dealership with a leaderboard ad and dealer profile complete with your logo and phone number for customers to get in touch with you. Our readers are looking for you! And we want them to call you! Digital marketing can be a headache, and we provide a simple solution. 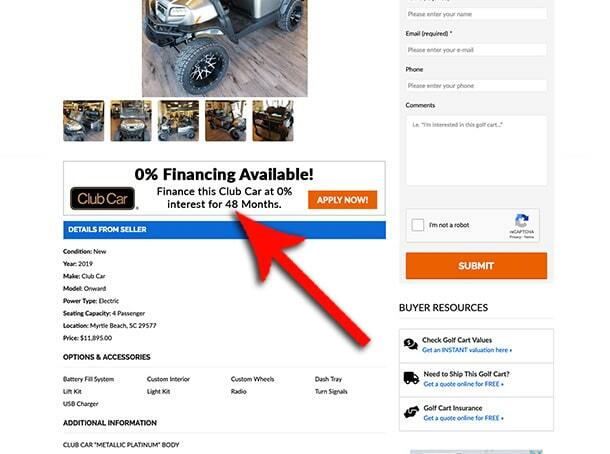 People near you on GolfCartResource.com will see tailored advertising with Calls to Action for your dealership. Financing incentives drive sales. We’ll update OEM consumer incentives for new vehicles so you don’t have to. Additionally, if you offer financing for used and refurbished units, then you can let customers know as well. 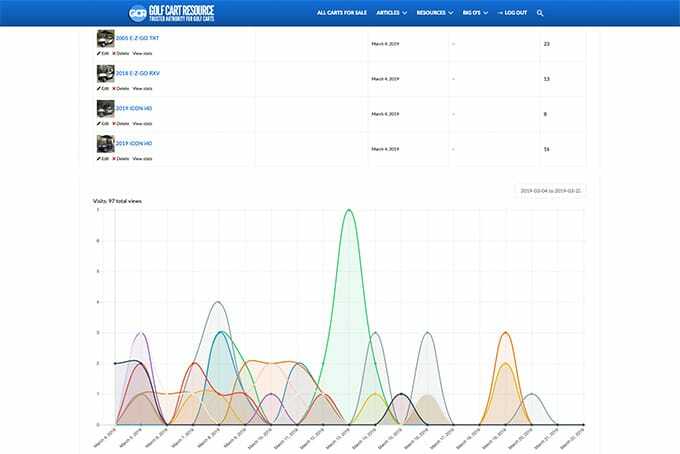 In your account, you will have access to analytics that will inform you how many people have looked at your listings and certain actions taken. In addition, we provide a dedicated local phone number that forwards to your dealership number so that we can tell you how many phone calls you have received from your listings and advertisements. 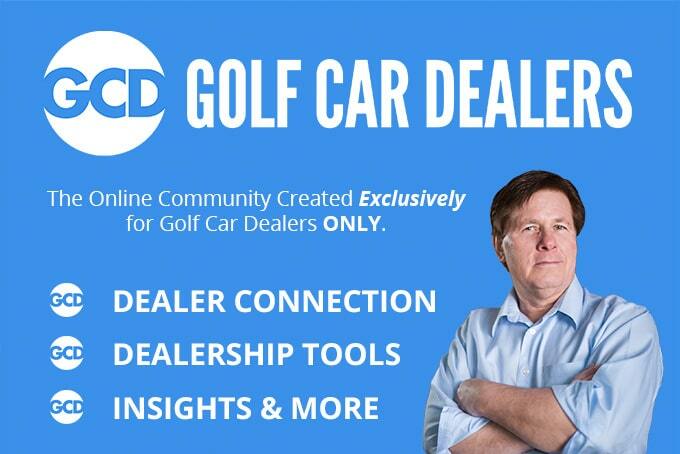 We have created exclusive “Dealers Only” groups (over 200 members) to provide golf car dealer owners and principals an open platform to ask each other questions, show off their custom carts, and connect them to consumer insights driven by our data collected from consumers. You also have access to our trade-in valuation tool to help you narrow in on a trade in value for your next sale. 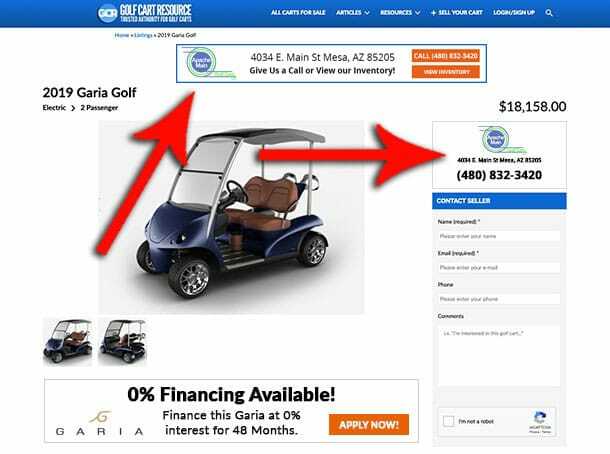 Ready to learn more about our Golf Car Dealer Package? Fill out the Form below or give us a call at (760) 209-6333 Ext 1 for more information.